With the end of the year wrapping up, the Pre-K children at Neptune Beach Elementary celebrated the last week of school with Turtle Week. Each day they learned about sea turtles through an activity as well as a video segment of the “Turtle Journey” movie which follows the lifecycle of the hatchling. Throughout the week and with much excitement, the class submerged a “Hachin’ Grow Turtle” in water, and over the course of three days watched the hatchling make its debut. It was quite the hit with a classroom full of four and five year olds! The children also made sea turtles out of paper plates with cutouts and paint which lined the hallway at the school. At the end of the week, each student took home a National Save The Sea Turtle Foundation T-shirt as well as an Outreach Magazine, turtle magnet, and a love for sea turtles. All items were provided by the National Save The Sea Turtle Foundation including the “Turtle Journey” movie and the Hatchin’ Grow Turtle. 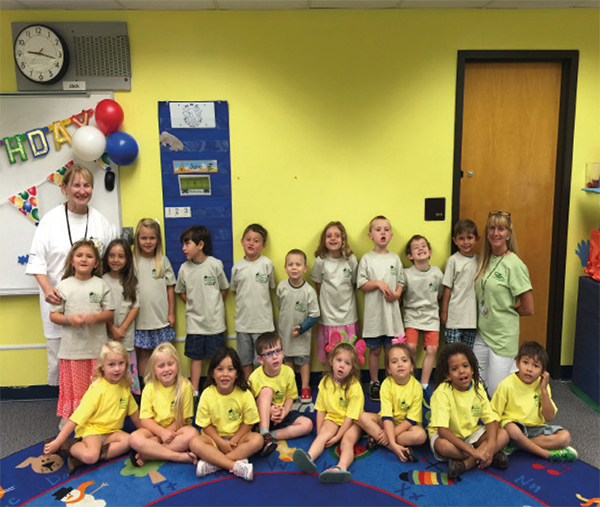 With the help from teachers Pat Maury and Dana Hatfield, these Pre-K kids are turtle educated, ready for summer and exploring the beaches of Northeast Florida in search of turtle nests. 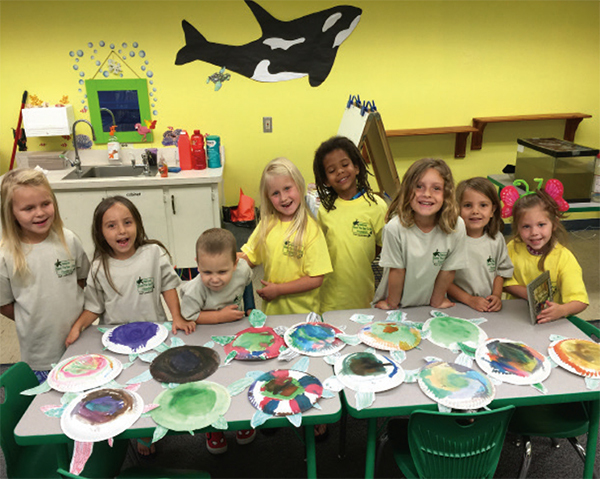 The Pre-K kids at Neptune Beach Elementary School in Duval County love sea turtles!